There are many kinds of shoppers. Some people enjoy the hunt and have fun going through shop after shop just to look around. Some shoppers, especially the busy ones, prefer to go to just one shop and find everything all in one place. 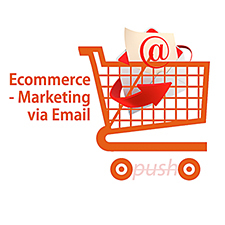 If you have an online shop, you can capture both types of shoppers by providing them a store that meets both needs. Take a look at Shopo Premium WordPress Theme. This eCommerce theme is specifically designed to be more than just a boutique shop. 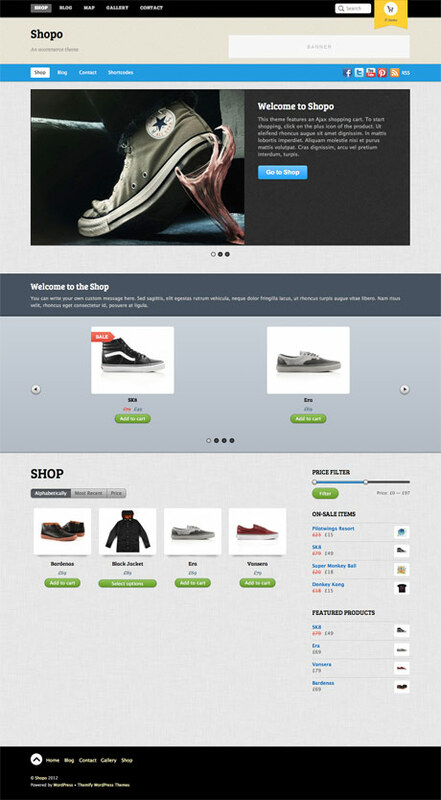 This latest theme from Themify runs using the popular WooCommerce setup and can accommodate a greater variety of products easily. This gives you room to set up a larger selection of products and reach out to a wider range of customers. The homepage slider can be modified to feature a welcome message or highlight a product. Your customers will enjoy the unique filter slider that filters products in the gallery according to price. Monetize promotional areas by displaying ads or banners. 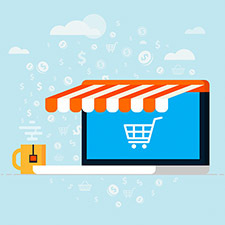 Unlike the traditional shopping cart experience, Shopo features an ajax powered built-in shopping cart that allows shoppers to add or remove items in the cart without redirecting the page elsewhere. This is a great feature because it does not distract the customer’s shopping momentum and keeps the focus on the shopping and not the paying process. Customers can take full control of modifying and customizing the theme through the Theme Option Panel, the Custom Widgets, the included Photoshop files, and the Theme translation (.po and .mo files are included to translate the page into any language). Shopo Premium WordPress Theme also comes with detailed documentation on how to setup the theme and sample content to test run and make set up much faster.